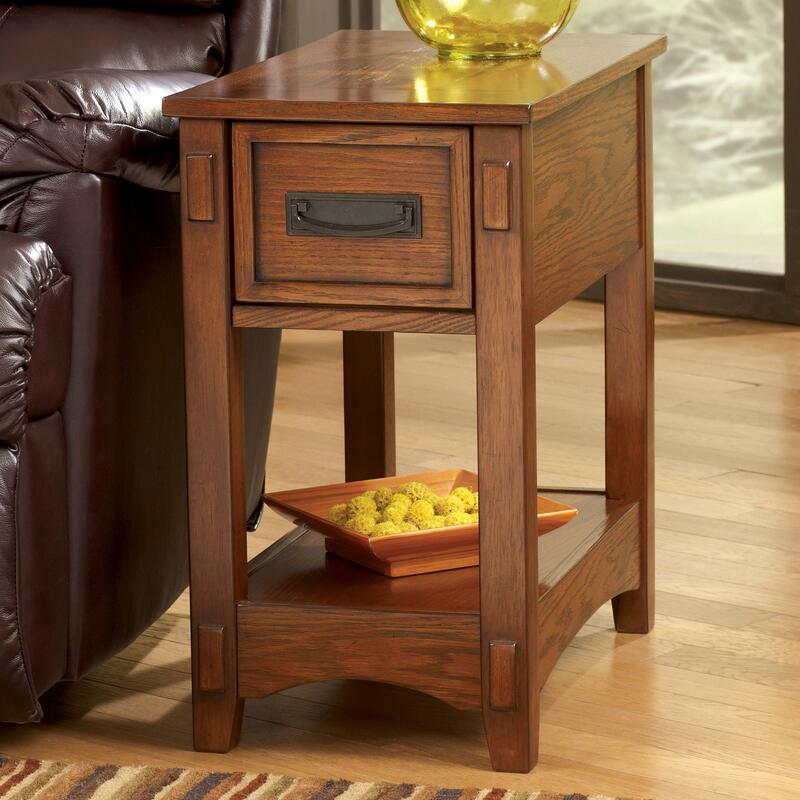 Ideal for storing books, magazines, and holding drinks and living room decor, this end table is built to meet all your chairside storage needs. 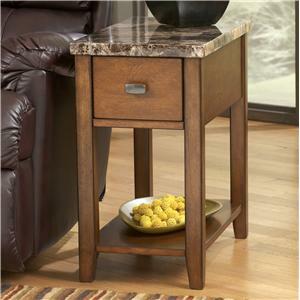 A built in slide board underneath the top adds extra table space when needed. Not only functional, but pleasantly stylish as well, this table is accented with a bail handle, curved base, and tapered legs to add a mission flair. 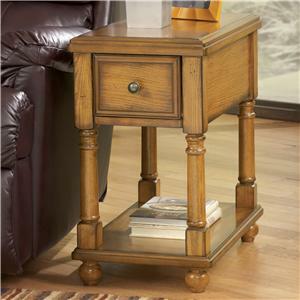 This versatile end table can be added to any room in your home and is also available in a variety of styles and finishes. 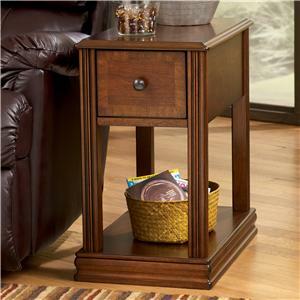 The Breegin Brown Mission Cross Island Chairside End Table with Slide Board at Rotmans in the Worcester, Boston, MA, Providence, RI, and New England area. Product availability may vary. Contact us for the most current availability on this product.